Bembridge Harbour lies on the eastern tip of the Isle of Wight, just a short sail from many Solent harbours with Chichester, Langstone, and Portsmouth all within a 10 mile radius. 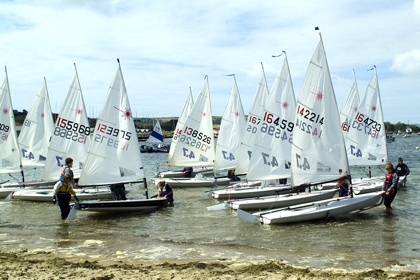 For yachtsmen embarking on a Channel crossing, Bembridge Harbour has the added attraction that it is at least an hour closer to the continent than the mainland marinas at the same end of the Solent. The Harbour is designated a ‘Site of Special Scientific Interest’ in recognition of its significance as a habitat for wildlife. The Harbour’s European importance is confirmed by its status as a ‘Special Protection Area’ and it is designated a ‘wetland of international importance’ under the Ramsar Convention. The Harbour has an area of saltmarsh as well as other important habitats such as sand dunes,vegetated shingle, and saline lagoons. The saltmarsh and inter-tidal mud provide feeding grounds for wintering and migratory waterfowl and the Island’s only RSPB site edges onto the Harbour. Bembridge is a large, picturesque and sheltered harbour with beautiful beaches and, although the entrance is tidally restricted, once inside its shelter a warm welcome awaits visiting yachts whatever the weather. It has the two villages of Bembridge and St. Helens surrounding it, and the small town of Brading is a few miles away. 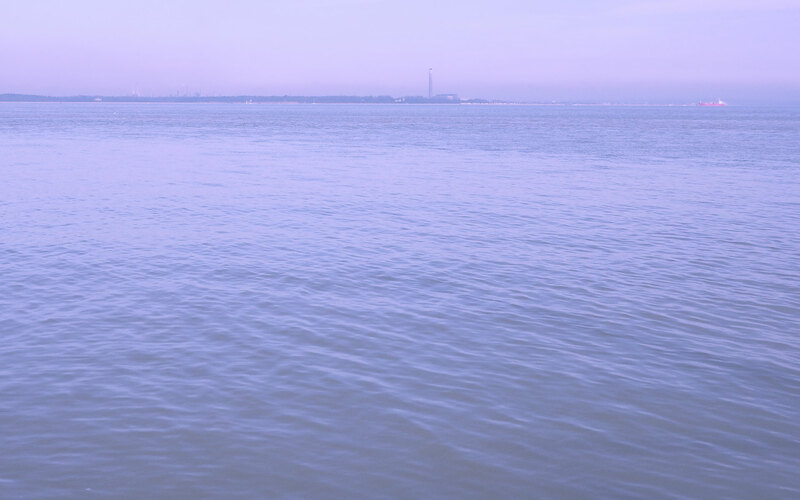 The entrance is due south of Portsmouth Harbour entrance and is marked by a tide gauge topped with a yellow cross. As you pass the tide gauge you will see the village of Seaview to starboard and the St Helens Fort to port. Vessels should leave the tide gauge to their port side on the approach and this will line them up with the channel markers which are in pairs, the first pair being buoys 1 and 2 which are lit at night - all other buoys are marked with reflective tape. On passing buoys 6a and 7a you will be running parallel to the shore with the Harbour entrance appearing in the distance. On big Spring tides beware the current which can be strong through into the Harbour. Pictorial and video guides to the entrance channel are available on the Harbour website and there is also a Navionics chart showing approx depths for guidance. A live-feed electronic tide height gauge, showing the depth of water over the bar, is displayed on the website and at the Berthing Office, with information updated every60 seconds. Once inside the Harbour there is a drying beach anchorage on your port side adjacent to Bembridge Sailing Club. Approximately half way down the Harbour on your starboard side you will come to the Duver Marina visitors’ pontoon which gives access to the shore on the north side of the Harbour. Visitors are advised to call on VHF Channel 80, Callsign: “Bembridge Harbour” on entering the Harbour for berthing instructions. Individual “Premier” finger berths ​can be booked in advance online​. Alongside berths can also be booked online - at busy times during the summer months it may be necessary to raft out. Harbour staff are on duty 0800-1800 seven days a week​ (summer hours). Rallies are very welcome - five or more boats receive a 5% discount, with a larger discount for rallies in excess of 10 boats. As a general rule of thumb, access to the Harbour for a vessel drawing 1.5m is ±3 hours HW Portsmouth, Neaps or Springs. In recent years an extensive dredging programme has been completed within the Harbour, re-establishing depths of 2m LWMS. An extension to the visitor’s pontoon has increased the available berthing space, and shoreside facilities have been refurbished ​- new facilities are planned and await final planning permission. There is a water taxi service, VHF Ch 80 Call sign ‘Bembridge Water Taxi’, tel: 01983 872828. The taxi is based at the Duver Pontoon and operates between various pick up and drop off points (subject to tidal access). There are showers and toilets, a laundry (at Bembridge Marina), water (own hosepipe), electricity, and waste removal facilities. WiFi is available to all visitors (first 1/2 hour free). A lift out and scrub service for RIBs/powerboats up to 10m (5 tonnes) is available to visiting boats at Bembridge Boat Storage (bembridgeboatstorage.co.uk), adjacent to the visitors’ pontoon andcan be arranged through the Harbour or Berthing Office. Undercover and external dry-stack storage also available. Contact: Bembridge Harbour Authority, Harbour Office, The Duver, St Helens, Isle of Wight, PO33 1YB. Tel: 01983 872828. bembridgeharbour.co.uk or follow the Facebook page.